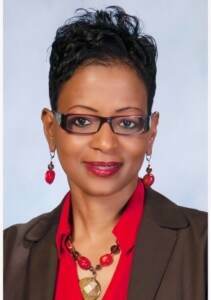 Aug. 29, 2017 – LaTrice D. Snodgrass has been appointed as the new Chief Operating Officer of AxessPointe Community Health Centers, Inc. Snodgrass joined the AxessPointe team in November 2014 as a consumer board member. She spent the last eight years of her career with Summa Health Medical Group where she served as a Practice Manager and later the Director of Operations. Additionally, she is an Adjunct Professor at Indiana Wesleyan University. She has over 20 years of leadership experience in healthcare settings including management of hospital-owned and privately owned physician practices, ambulatory care networks, hospital and assisted living operations. Snodgrass received her Doctorate of Healthcare Administration in 2015 from the University of Phoenix and her Masters of Science in Management with a concentration in Healthcare Management in 2005 from Troy State University. Snodgrass has a published body of work that concentrates on employee engagement, servant leadership and emotional intelligence. Snodgrass continually focuses on personal and professional development in the workplace and beyond. She is an active member and serves on the 2017 Ohio Northern Board for the American College of Healthcare Executives as well as holding membership with the National Association of Health Service Executives. Additionally, Snodgrass was previously a member of the Professional Association of Health Care Office Managers. Snodgrass is an advocate of community development. She serves on the Board of Trustees at Choices and is the VP of the Support Levy Board, which is a subsidiary of the Alcohol, Drug Addiction and Mental Health Board. She continues to volunteer regularly at the Akron-Canton Food Bank, the Haven of Rest and Habitat for Humanity. AxessPointe Community Health Center is a federally qualified health center (or FQHC, commonly called a community health center) with five current sites in Northeast Ohio, including three in Akron, one in Kent and one in Barberton. A FQHC is a not-for-profit corporation that delivers primary medical, dental and preventive health services in medically underserved areas. AxessPointe also provides behavioral health and OB-GYN services. Originally named Akron Community Health Resources, Inc., the first center was located in Akron, and received funding in 1994 from the Bureau of Primary Health Care to establish the first federally qualified health center in Summit County. AxessPointe now employs more than 100 care providers at its five locations.